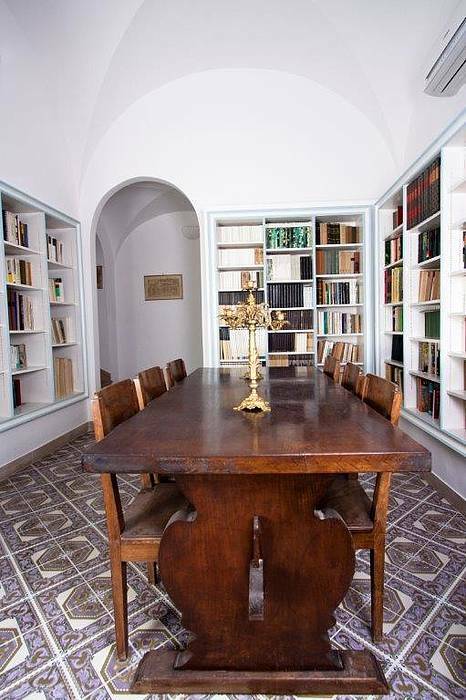 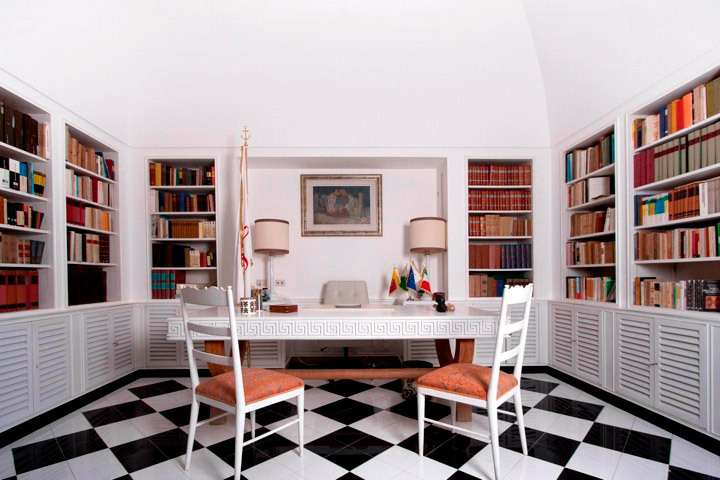 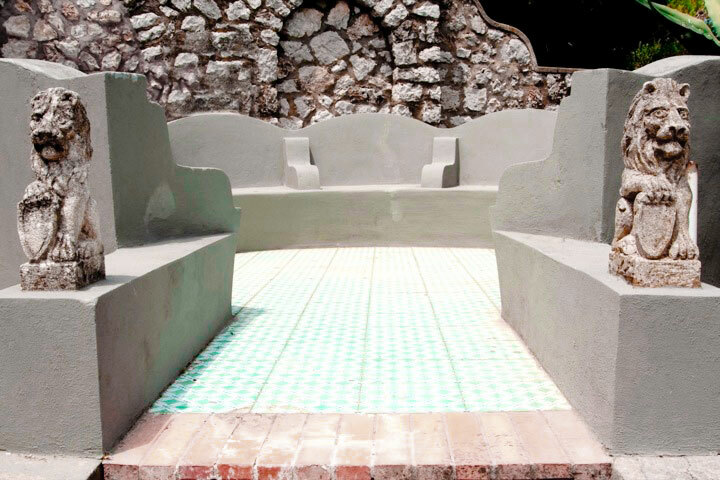 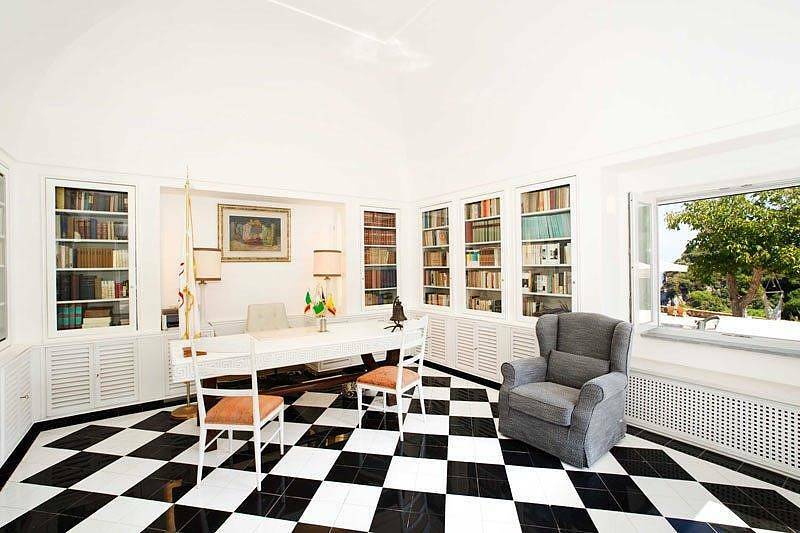 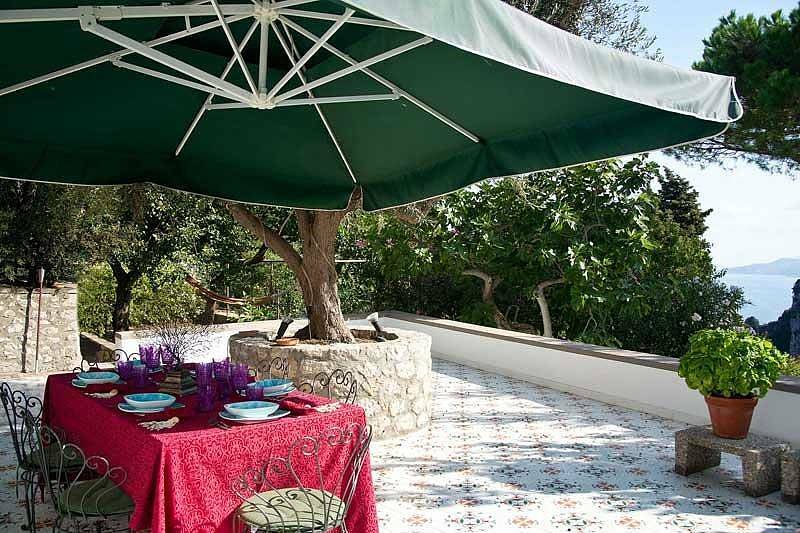 If, in centuries past, so many artists and writers chose Villa Jolie as their elected home on the island of Capri, there's a reason. 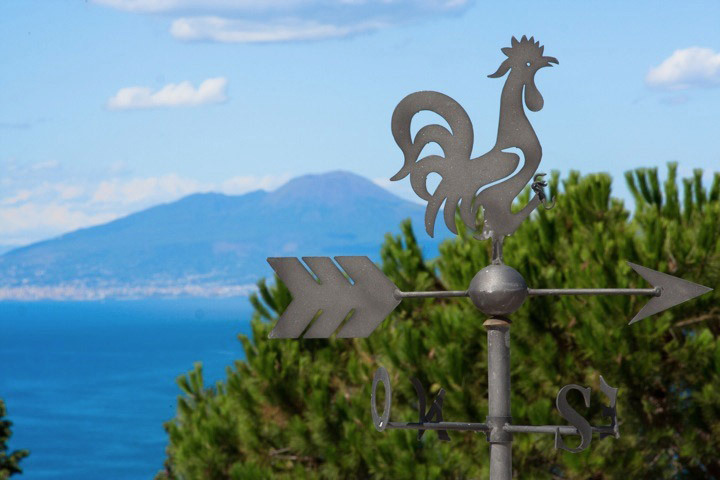 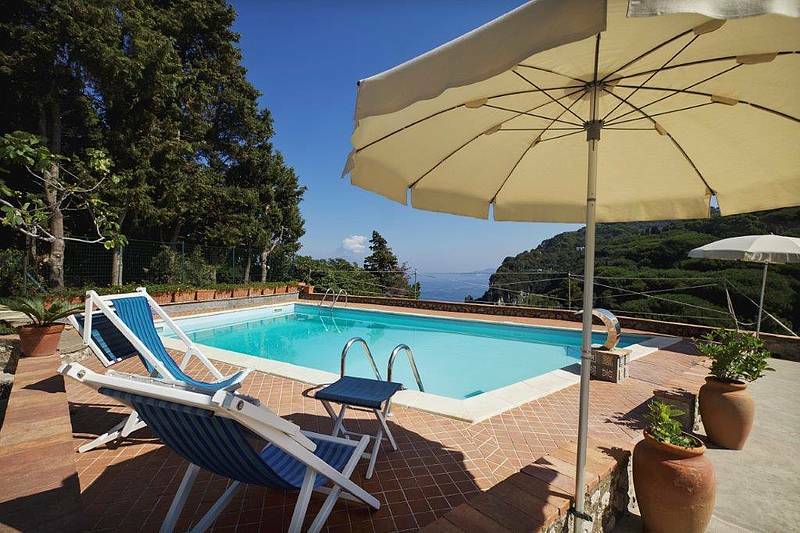 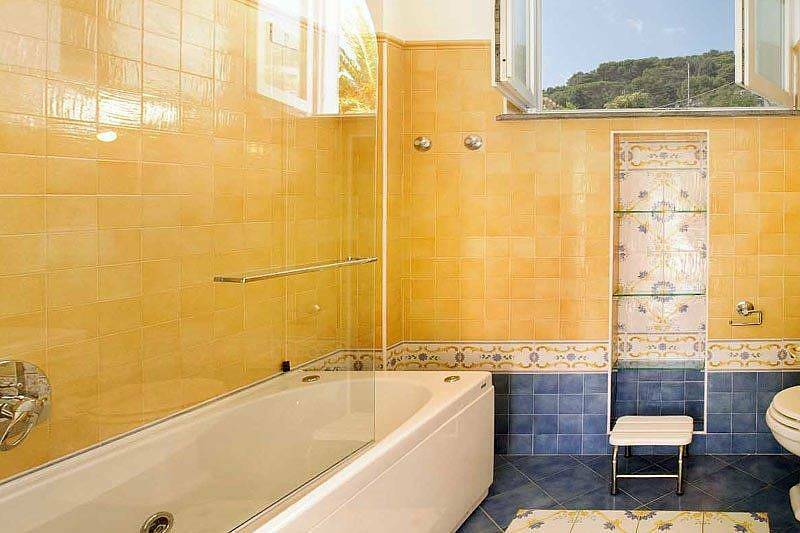 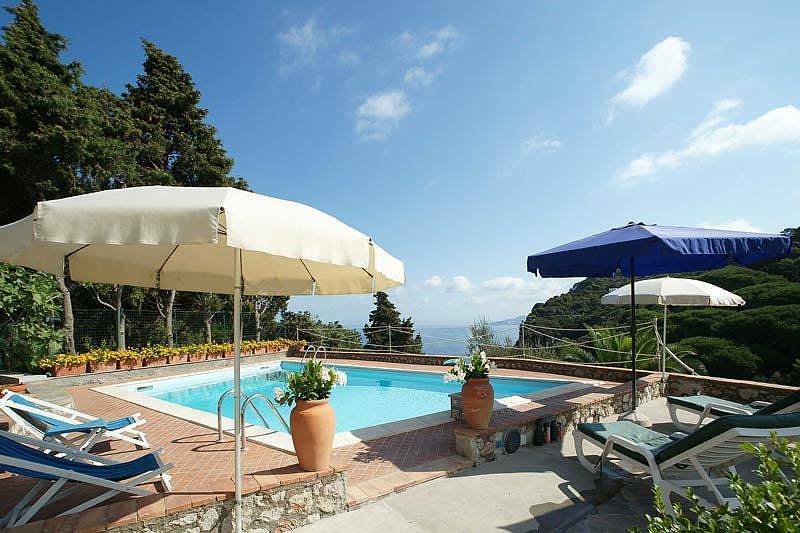 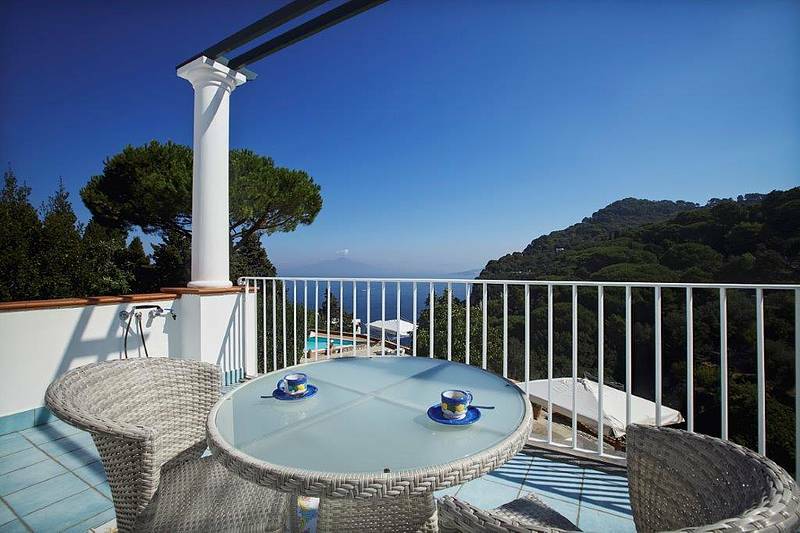 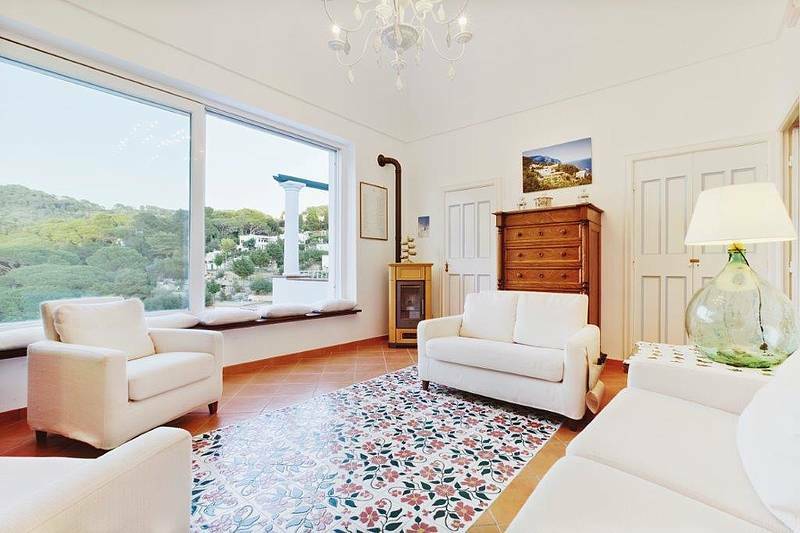 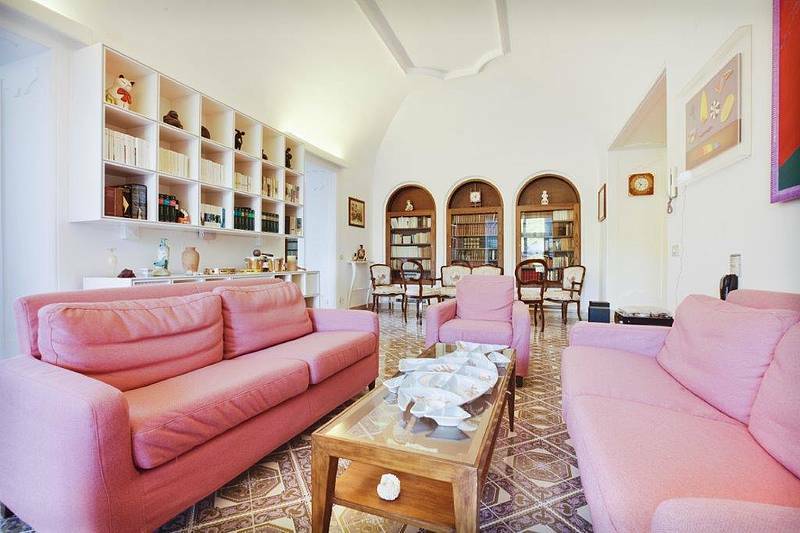 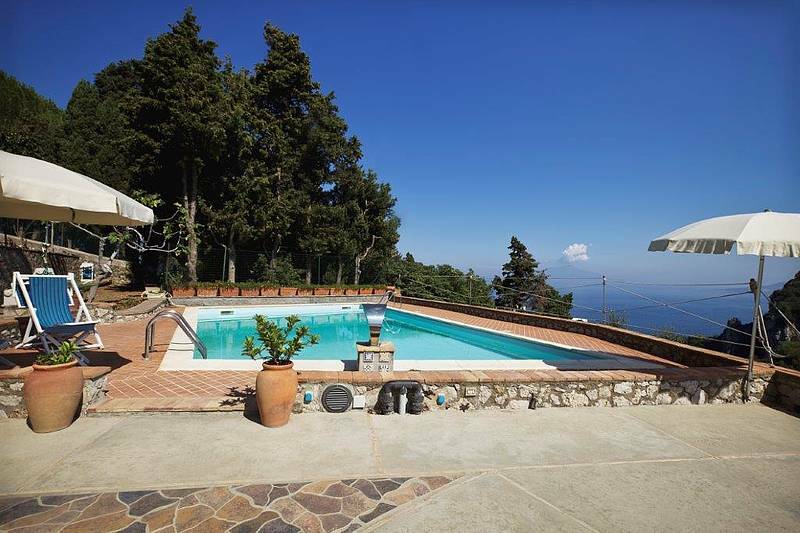 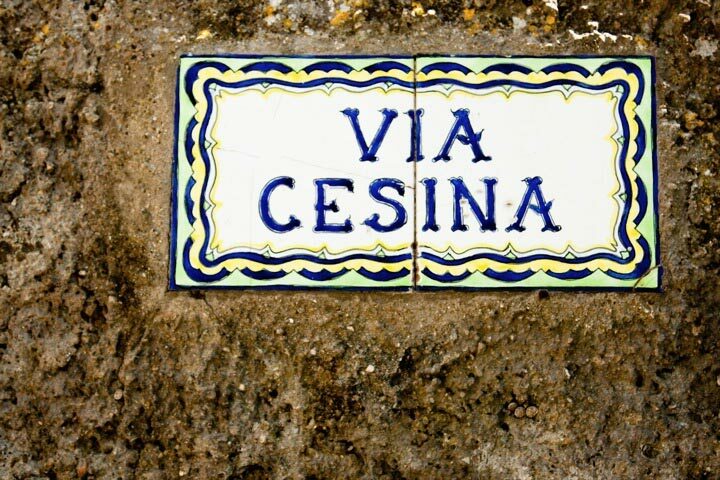 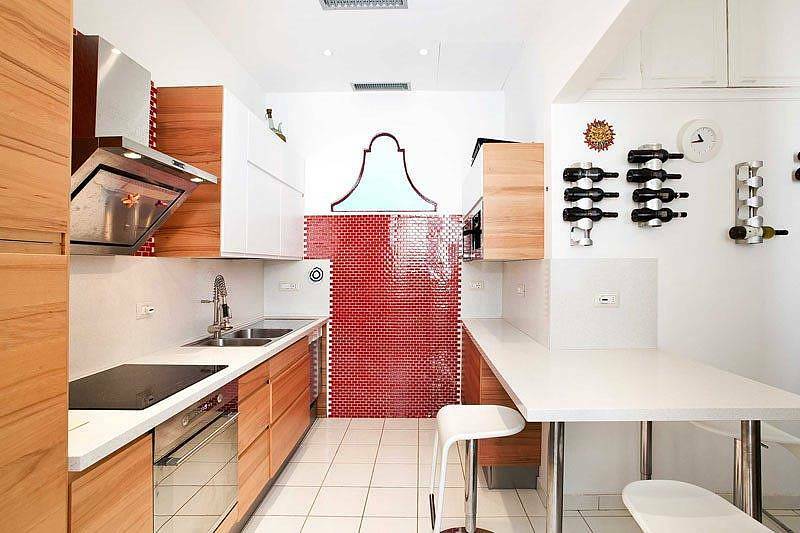 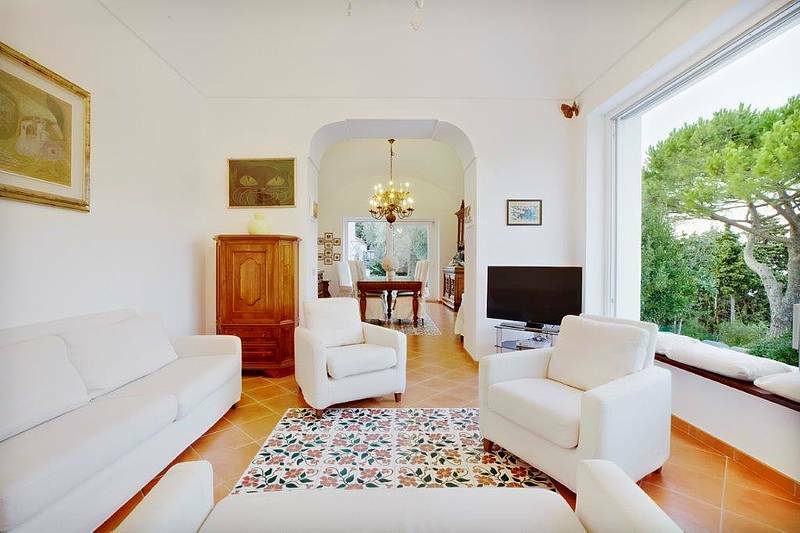 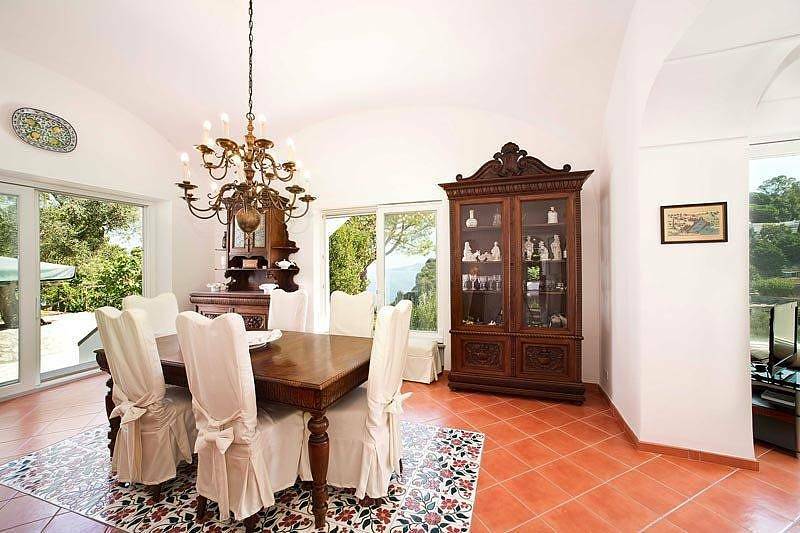 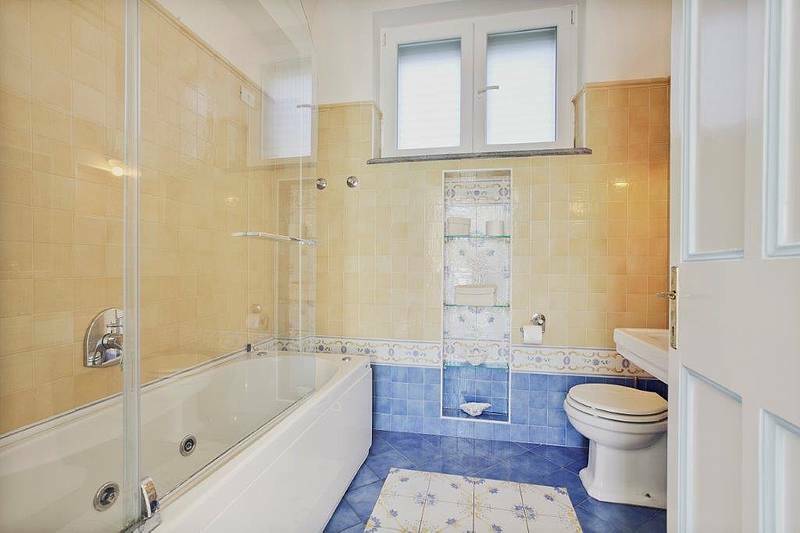 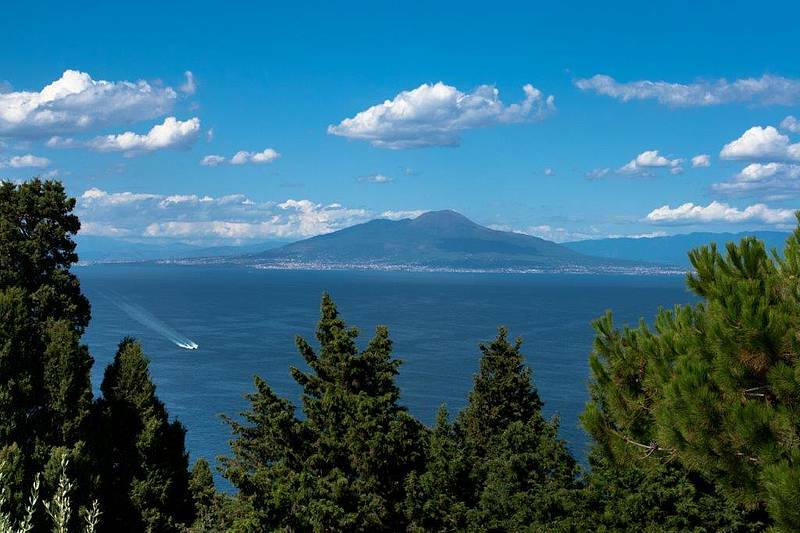 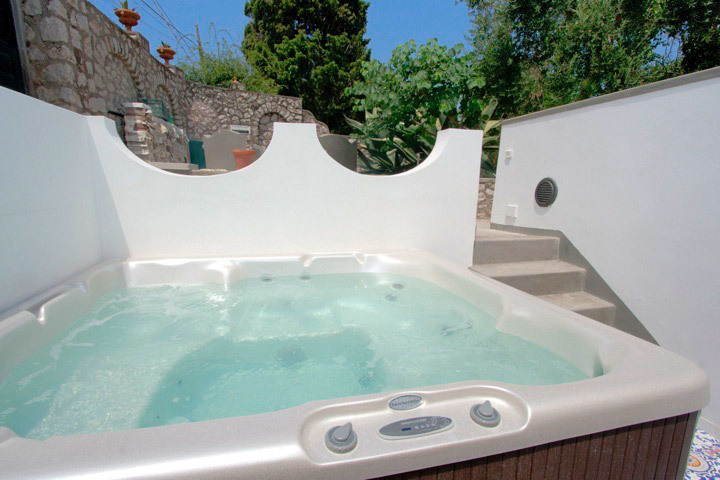 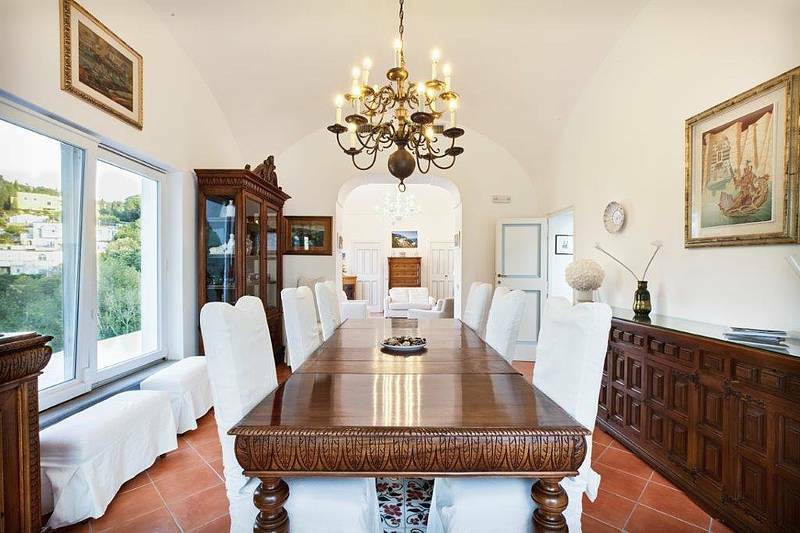 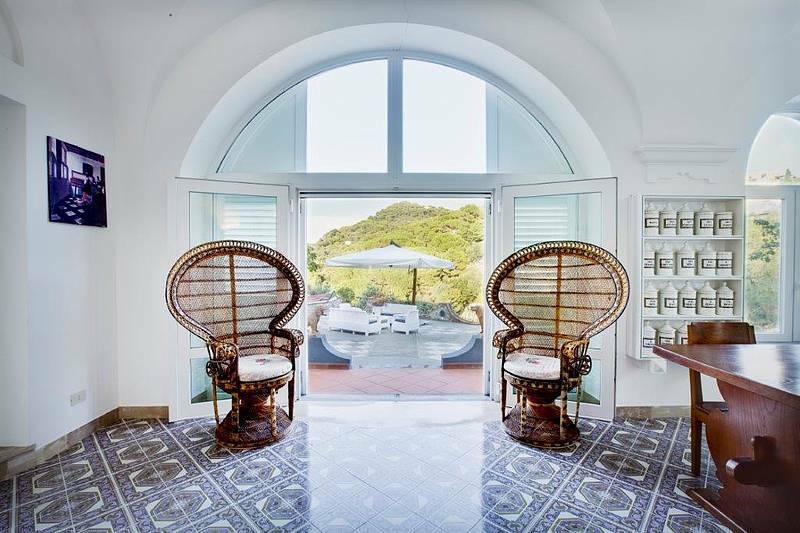 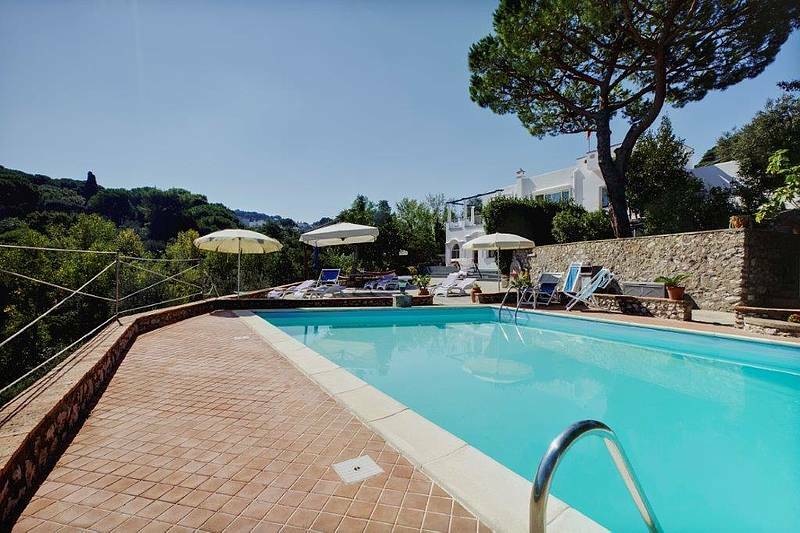 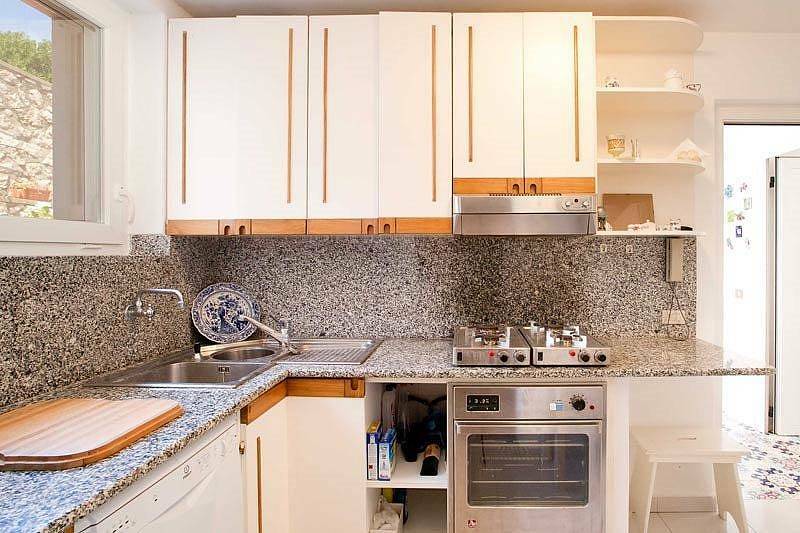 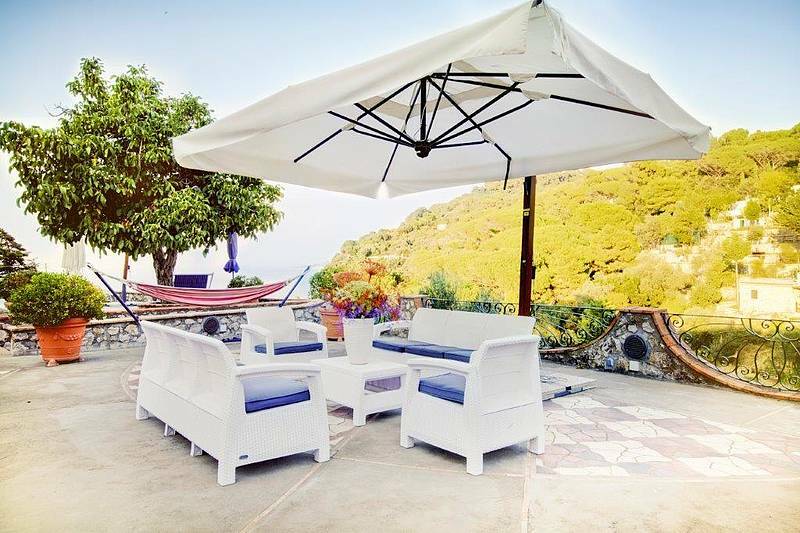 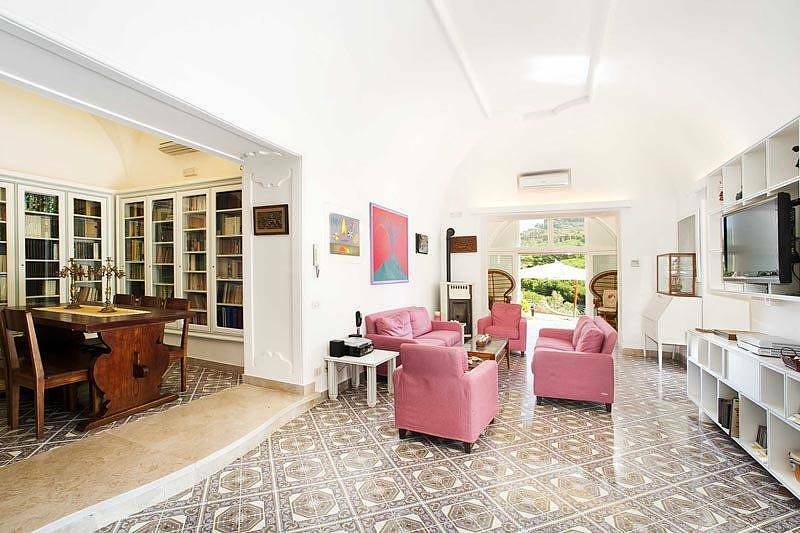 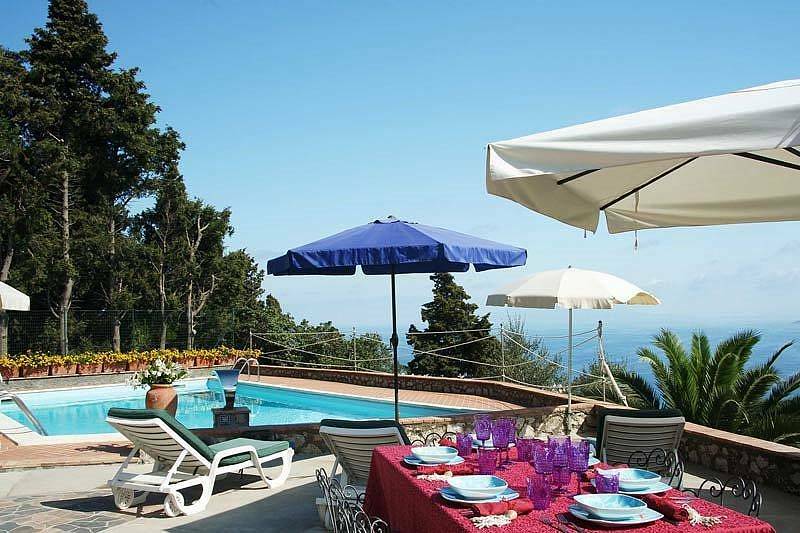 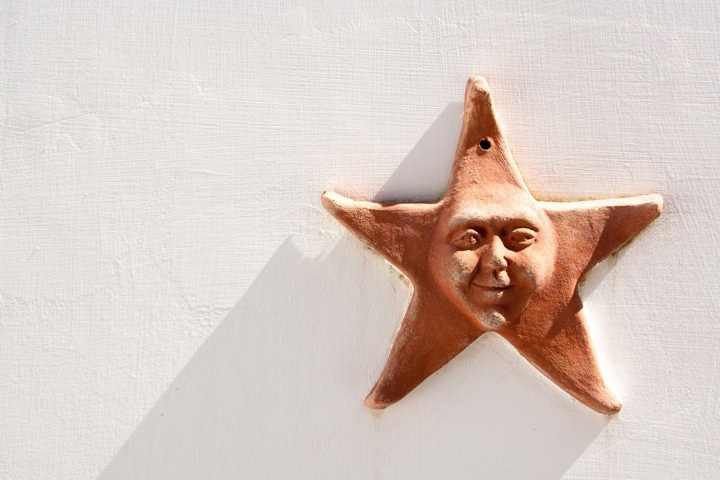 Located on the hill of Cesina, halfway between the peaceful countryside and the buzzing Piazzetta, the villa enjoys magnificent views of the Bay of Naples, the Sorrentine peninsula and Mount Vesuvius. 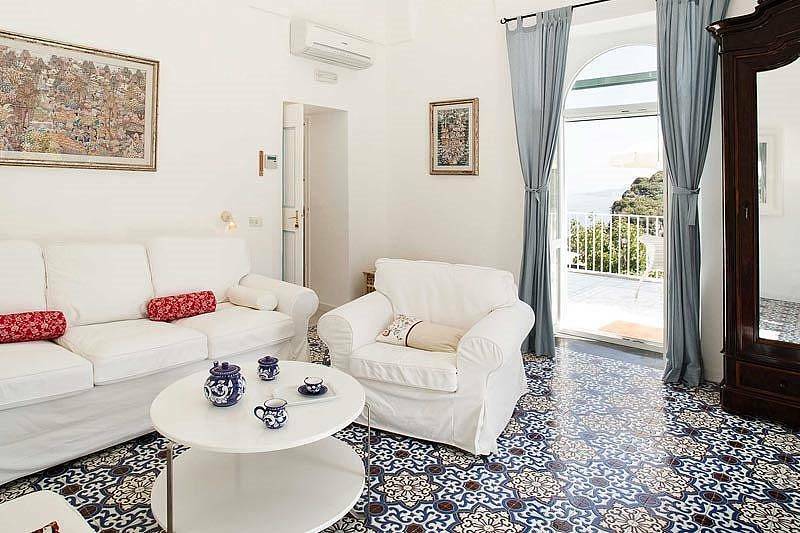 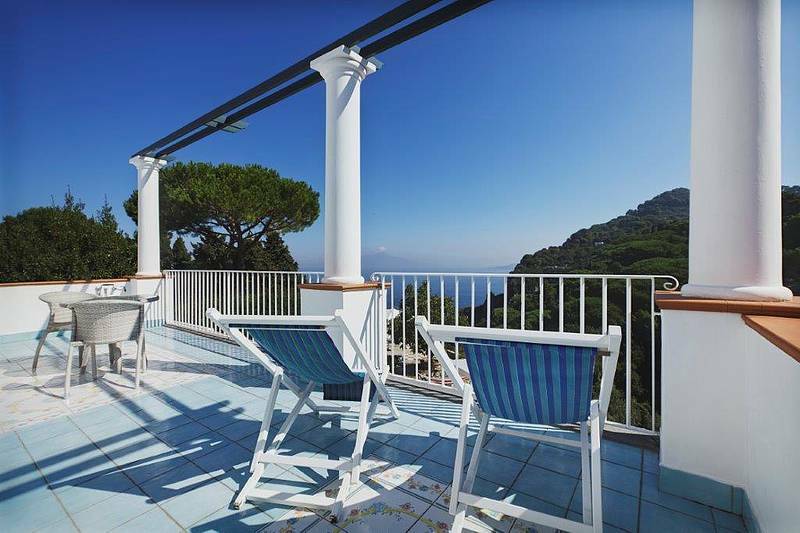 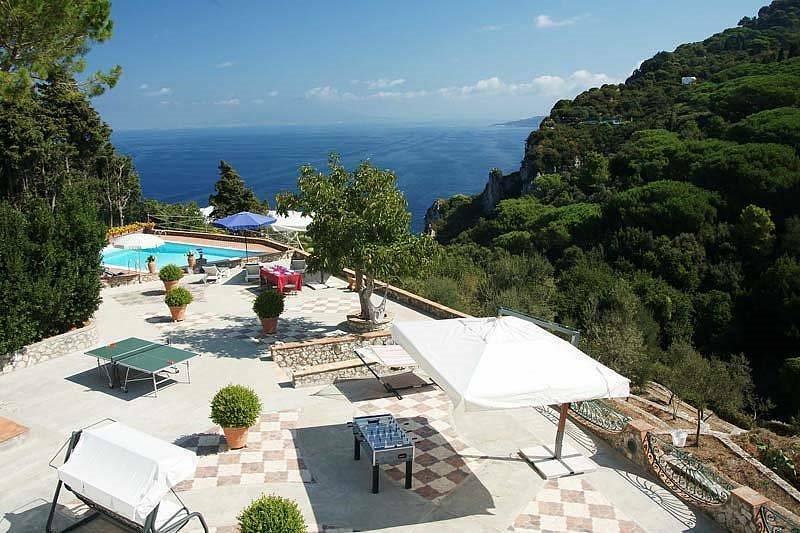 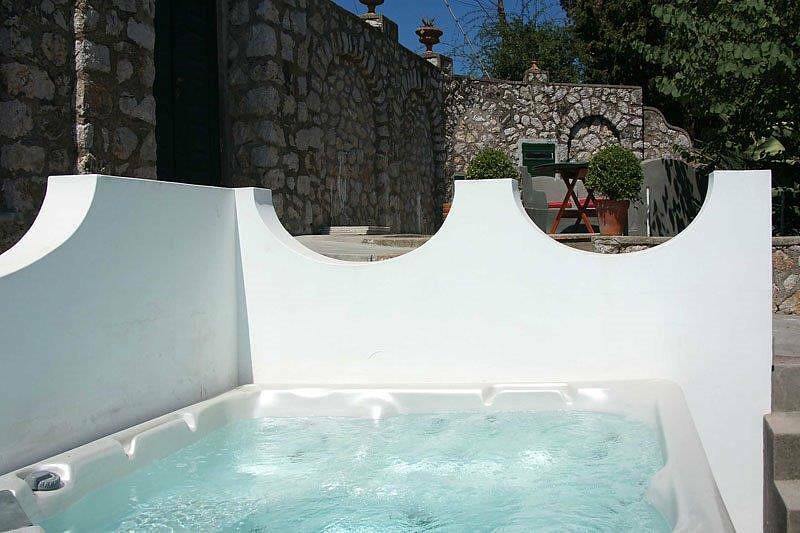 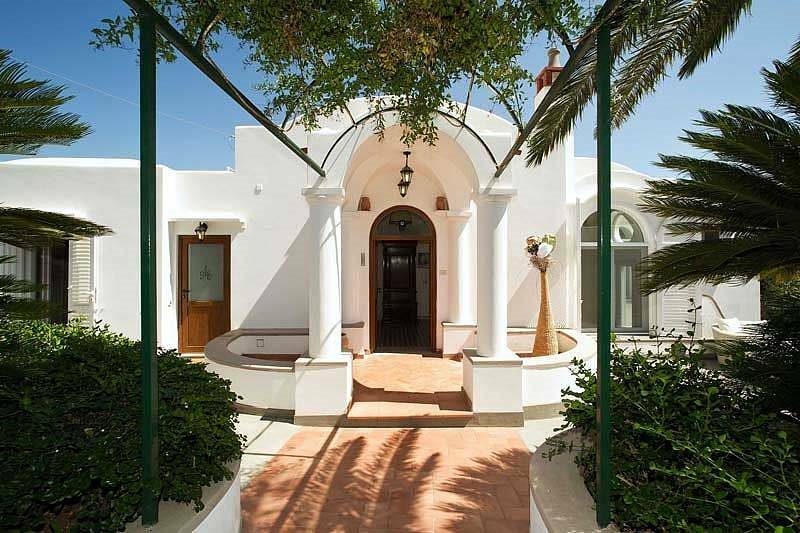 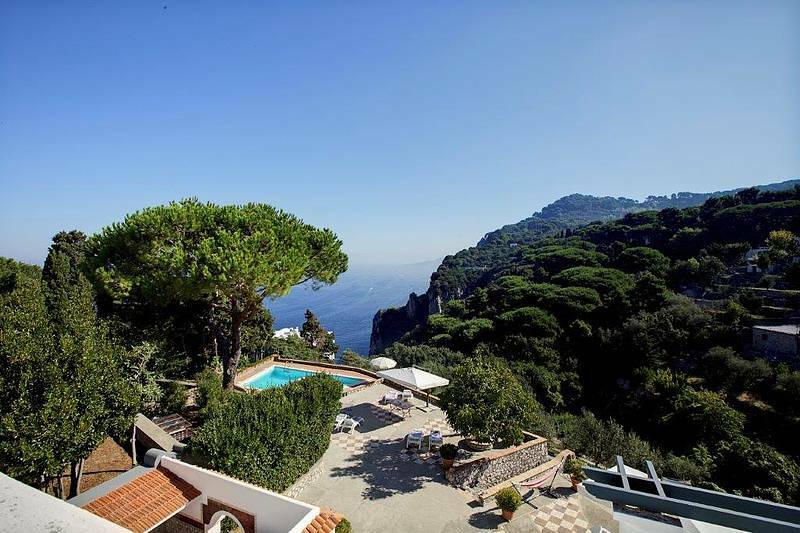 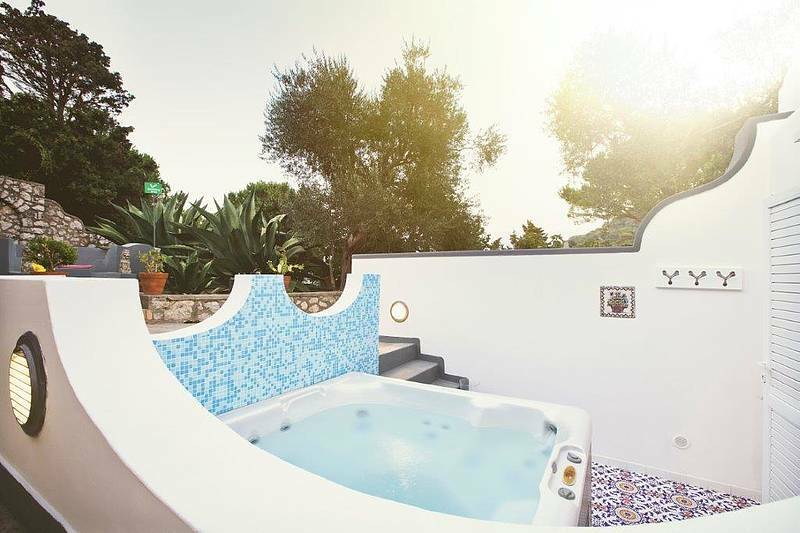 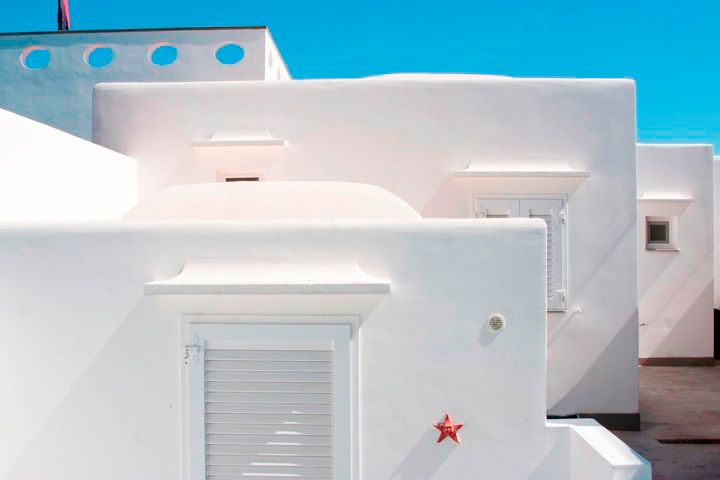 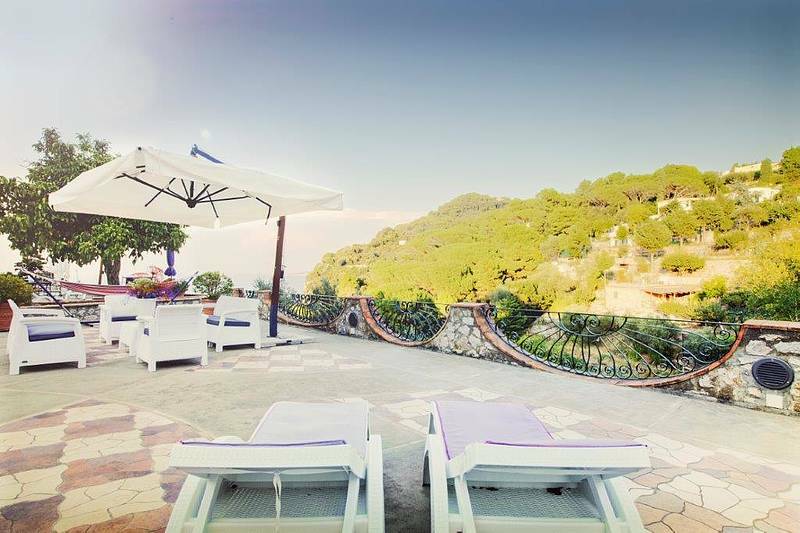 Built on three levels and in typical island fashion, Villa Jolie has all the features of Capri's most elegant private homes: white domed roofs, graceful arches, sun-kissed terraces and a beautiful swimming pool. 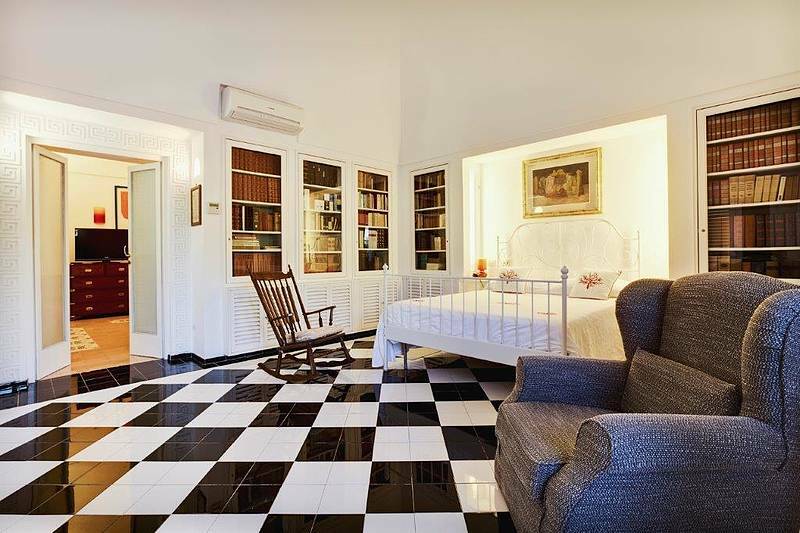 On the ground floor there's a sitting room and three ensuite bedrooms, all of which open out onto the garden. 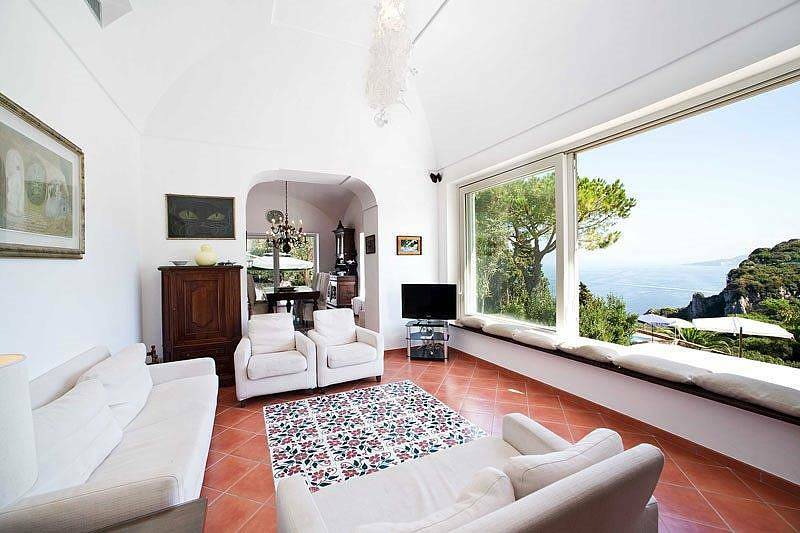 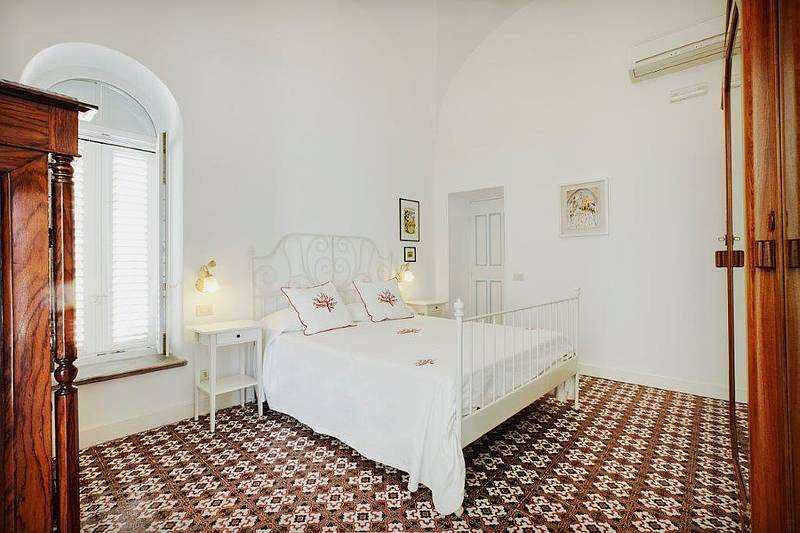 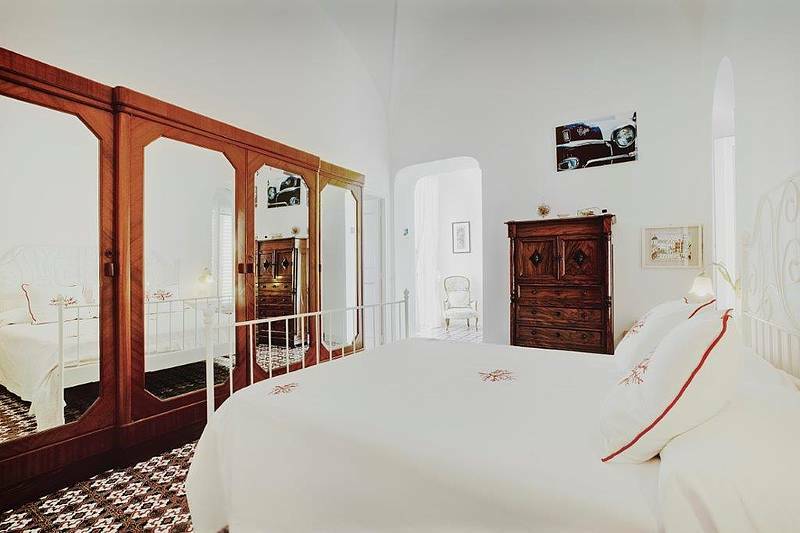 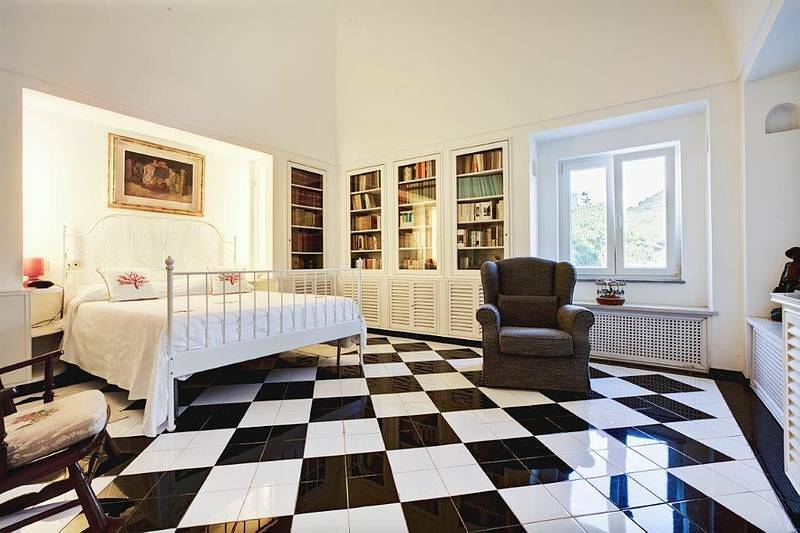 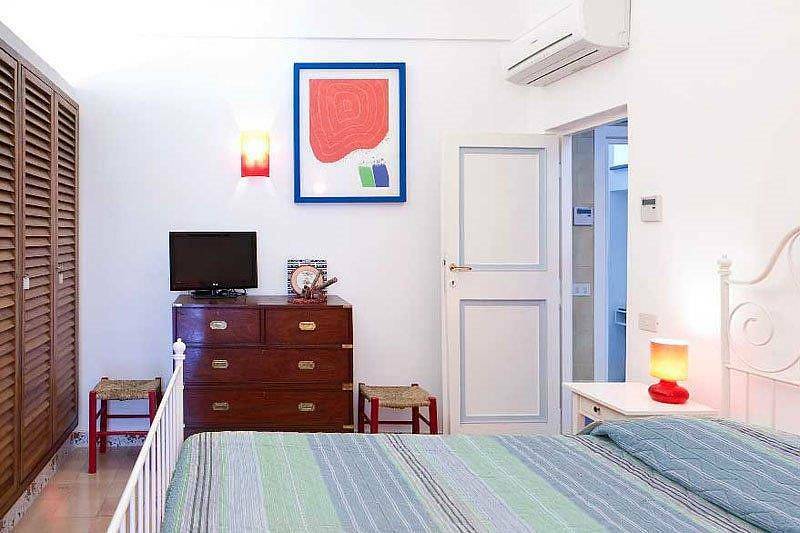 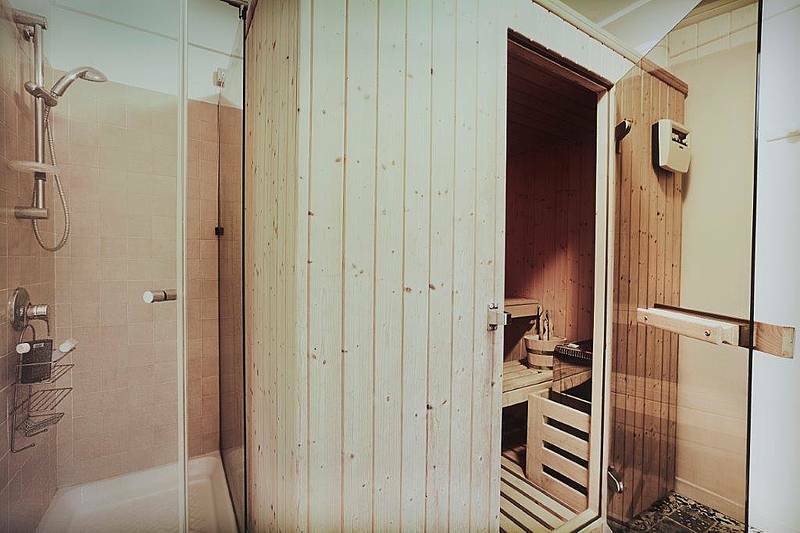 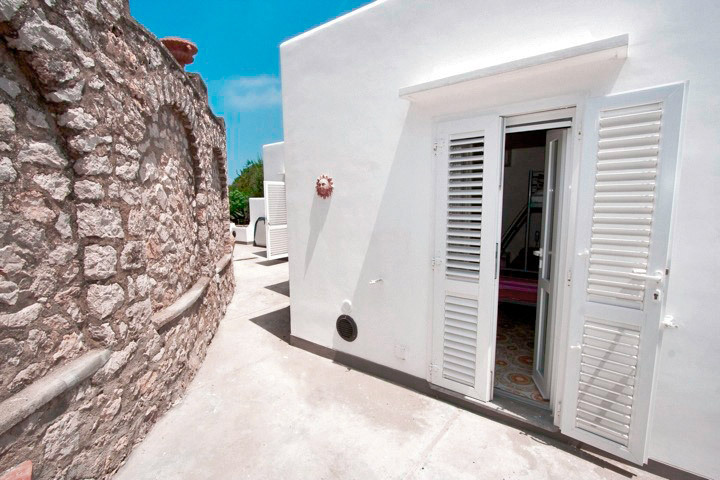 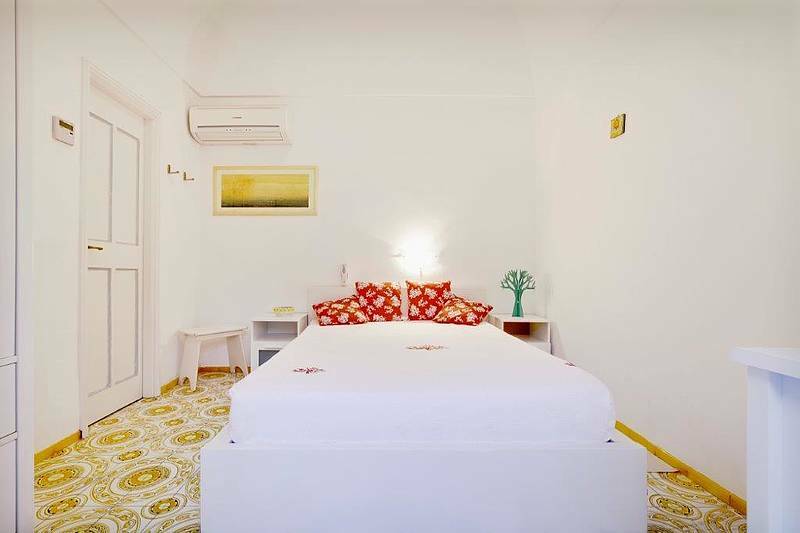 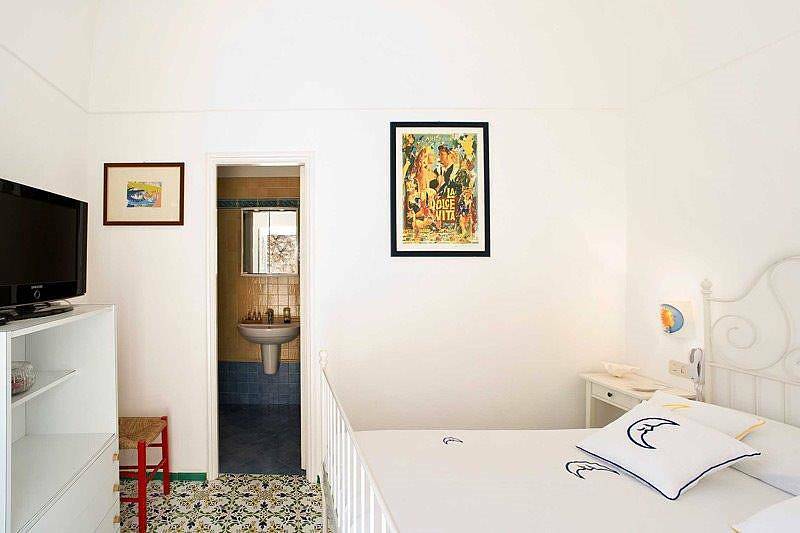 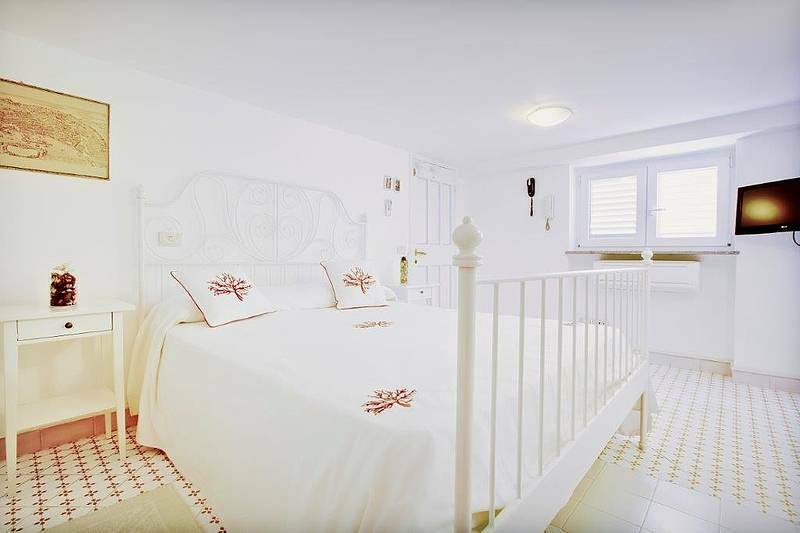 The large master bedroom has a private sitting room with view of the Sorrentine peninsula and Mount Vesuvius.